In The Huffington Post, I’ve collected some of my thoughts at the end of a year in Peking University here. I will be taking my last deep breath of fresh Californian air tomorrow, before I fly back to Beijing tomorrow to continue my Chinese studies in the IUP program in Tsinghua university. It’s right next to PKU, so I’ll be blogging as before. Q: What’s Roe vs. Wade? A: Two ways of coming to the US. Will Ben Win in China? I just watched a new film about the Chinese reality TV show ‘Win in China’ (also subject of a cracking piece in The Atlantic by James Fallows). The show makes budding Chinese entrepreneurs jump through hoops to test their business acumen, eventually whittling over a hundred thousand competitors down to one winner. The total prize money dished out is over $5 million, to help competitors with their business ventures. And the wider impact is giving its viewers the know-how to make money in commapitalist China. Ben is, as you might expect, a big fan of the show. He likes the Wolf, even if he agreed Song Wenming deserved to win. But his eyes were all for one of the celebrity judges, Ma Yun (or Jack Ma) – who founded Alibaba and TaoBao, where Ben lists his own online shop. Ma Yun is his idol, together with Huang Guangyu, who when he he started had nothing to his name (and now? well, actually now he’s under investigation for stock market manipulation, but still…). Will Ben be the next Ma or Huang? “I’d like to be like them,” he says, “but it’s too far from me.” His ladies clothing website is ticking along with a nice profit, and his next step is to set up a store in Beijing – just like Huang did when he was as old as Ben (23, coincidentally the same age as Ma when he founded TaoBao). Ben estimates he needs close to 20,000 kuai (£1800) surplus cash to do this. Next time I see him I’ll suggest season 4 of ‘Win in China’. Oh, and to give a little perspective: Ben’s father, as described to me, is every bit as hard-working and full of ideas as his son. Except he was young at a time when the word “entrepreneur” would get you and your parents into a real hell. 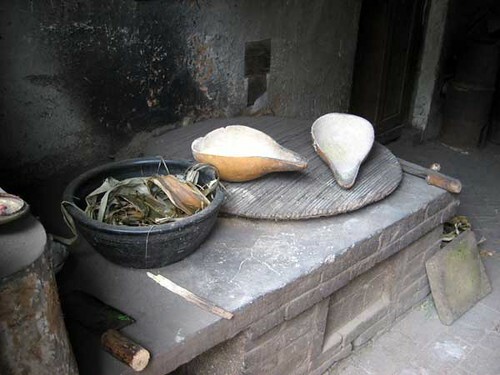 During the Cultural Revolution, Ben’s father worked as a driver, carrying coal to his hometown. Now his son runs his own business online, turning over 500 kuai (£45) profit on a good day – a winner in China, I hope. I’m in California for a rest at the moment, so technically I’m East of China – but I think West is less confusing and more accurate in every sense except the literal. 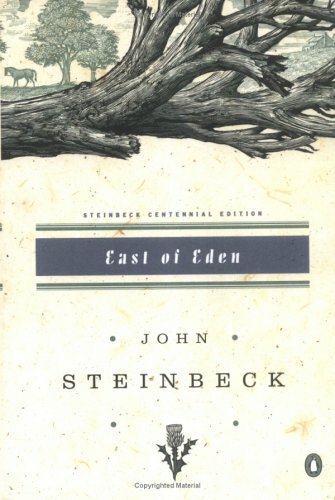 I’m also reading Steinbeck’s East of Eden for the first time. I can’t resist quoting this passage, a conversation between Samuel Hamilton and the American-born Chinese help of the Trask family, called ‘Lee’ (“Got more name. Lee papa family name. Call Lee”). This is set in early twentieth century California. Matilda just emailed me with some snaps from her trip to the poor countryside of China, which she was telling me about over a coffee the other day. 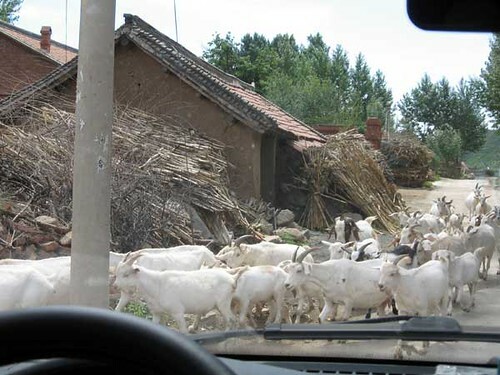 These are taken in a village in Hebei province, which surrounds rich Beijing. Matilda was in a small group of students from Beida (Peking University), bringing clothes, books, book bags and suchlike to kids whose poverty will likely deny them the opportunity to study at PKU or compete fairly for a better life for their kids. I tend to write on this blog about one of the most privileged set of young guys and girls in China: Beida is a (the? the. 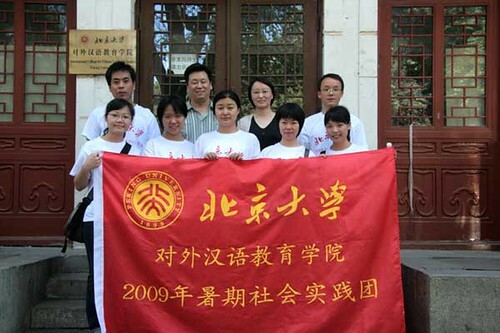 bug off Tsinghua) top university here, providing the top opportunities. So I always appreciate a reminder that a few hundred miles away there is a kid like the one Matilda holds above, whose parents can’t afford the schooling which could get her into a good university. These scenes are typical of this widespread poverty in rural China; it’s about the same as the village in Qinghai I have taught in myself. The home Matilda is in above has no electricity. They have never seen a foreigner. The kid has never seen a car. The family can only afford one pair of presentable trousers for five people … when someone needs to go out they take the trousers, while the rest stay at home in underpants. There’s a contrast for you as sharp as the kitchen knife below. One world, one dream … one kid taking his holidays at a summer camp in Yale, one kid who can only dream of it. What I find interesting isn’t the crushing inequality (old hat for China, with the brief exception of the Mao era), it’s the new generation of young Chinese who really care about it – enough to take a sidestep from their ambitions to help. I’d hazard a guess that Matilda’s parents, in the rush of new opportunities in the late 70s and 80s, didn’t give as much thought to China’s poor who weren’t otherwise connected with them, as Matilda does to this trouserless kid.